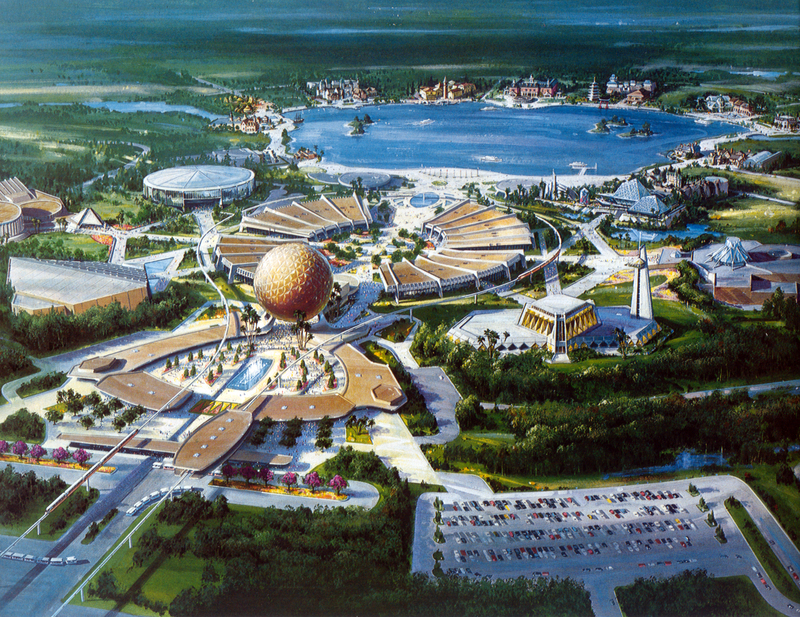 I interned at Walt Disney World’s Epcot Center back in 1995. At the time, we were given a backstage tour of the operations command center of the park, which originally opened in 1982 (so it was designed and built using late ’70’s technology). Amazingly, they showed us a touch-screen computer terminal that controlled every lighting circuit in the entire park. Across a 500 acre facility, with dozens of major urban-scaled buildings, the most advanced entertainment facilities and show-control systems anywhere, dozens of restaurants, retail locations, plus all the outdoor urban and show lighting….all the lighting was monitored and controlled via one touch screen CRT. I watched live as maintenance repairmen radio’d in which circuits they were working on and the center’s operator called up the circuits and shut them down or turned them on as requested. This is 40 year old tech! The multimedia presentation showed graphically how every part of the park, from nearby Univerese of Energy, to the far reaches of World Showcase were tethered to their technological mastermind in Central. It was here that all the audio, show control, lighting control, environmental control–indeed nearly everything involved in running the park–originated. Central was linked to these far-flung locations through a park-wide network of fiberoptic cables. Fiberoptics supplied not only control information, but even video for World Key Information System and other interactive displays. “MACS” and “ECS” were not single computers as the show may have implied (for simplicity sake), but were rather collections of machines working in unison to put on one of the most technologically complex shows of its time. “MACS” consisted of, among other things, “Bin Loops”–giant 24-track continuous-loop audio tape machines which supplied both the major audio tracks for the attractions, and also the timing signals for Audio-Animatronics and show elements. (Shorter audio segments were on continuous-loop cartridge tapes). Also part of MACS were the “SCUs” or “Show Control Units”, which were responsible for controlling the show elements (Audio-Animatronics, films, special effects, etc) in the attractions. Nearly everything guests experienced, from the roar of a dinosaur in Universe of Energy, to Mark Twain climbing a flight of stairs in the American Adventure, was orchestrated by MACS. ECS consisted of four DEC MicroVAX’s, named Huey, Dewey, Louie and Donald. They managed show lighting and other effects for the park’s entertainment, including outdoor shows. Light poles sprung from “solid” rock, park lighting dimmed in preparation for Illuminations, a rousing musical score sprang from unseen speakers–all at the direction of ECS. Still to this day, “Huey, Dewey, Louie and Donald” would match the most hyped aspects of IoT lighting systems: Touch screen interfaces, fiber-optic data backbones, sensing systems for safety and security, show-control-quality-dimming and lighting effects. The technology has been available for 40 years. So I challenge you to think critically before believing (or writing) another IoT puff-piece: Why have sophisticated lighting controls not seen greater use outside of the entertainment world?